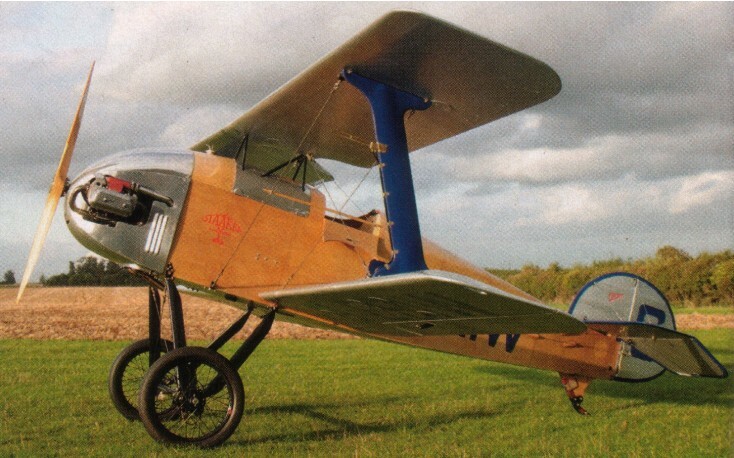 Designed by British aviation artist Lynn Williams, the Flitzer is a mythical inter-war sport plane. The original Z-1 prototype was powered by an 1835cc VW. Since first flight, the LSA 1834cc VW-powered prototype Flitzer Z-1 has flown over 70 hrs, without any changes to rigging or trim of the machine, other than for experimental purposes. The aeroplane has been dived to over 125 mph, controls firming-up appropriately, without any aerodynamic buzz, and terminal velocity appears to be well short of the flutter regime. It flies hands-off in the cruise (Vc = 86 mph.) and will complete a 360 deg. turn in 7 secs at this speed. At Vc, deliberate displacements in pitch, both positive & negative, result in stick-free re-acquisition of flightpath in 1/2 oscillation, ie. deadbeat damped in cruising flight. This was followed by the stronger Z-21, incorporating a longer span horizontal stabiliser and other refinements, still with a 22in wide fuselage. The Z-21A features a wider fuselage, at 24in at the cockpit. Flitzer plans comprise 33 mostly A1 size sheets, and are comprehensively illustrated, with much text, and many perspective, exploded views of components.All metal fittings are drawn full size, and plans have been updated to reduce time and cost of fabrication. With the American Ellison EFS-2 slide carburettor, developed power is in the order of 60+ hp., and the aeroplane gets airborne in 7 seconds in about 130 yds. At approx. 80% MAUW., rate of climb averages 700 fpm., and maximum speed straight-&-level is just over 90 mph. with the currently un-refined 'cruise' propeller, at 3000 rpm., red line being 3300 rpm for this engine, so more performance may be achieved via propeller improvement. Stalls are innocuous, with or without power: 44 mph. Straight ahead power off, and below 30 mph. IAS at full power – with gentle wing drop and plenty of pre-stall warning in terms of hunting in pitch and short-period wing rock. Control about the yaw and roll axes is maintained below stall. Recovery is immediate on relaxation of stick pressure. The true stall would not develop with the Z-1 prototype's "small tail", the aircraft mushing in stable sink at an indicated 44 mph., power off (a safe condition). But with the 6% area increase in the horizontal tail, as shown on the Z-21 "plans" version, a clean g-break is now achievable, and with full power the 'straight' , unaccelerated stall occurs at an angle of +35 degrees of pitch. Best angle of climb is achieved at 45 mph. IAS, and best ROC at 60 mph. Approaches are flown at 60 mph.,reducing to 55-50 over the hedge, touching down at about 45. The latter figures may be reduced with the slightlylarger tailplane shown on the plans. The machine copes well with crosswinds on a narrow farm strip, despite notbeing equipped with brakes or a steerable tailwheel, although these options will be included on a later sheet. Streamlined main undercarriage leg fairings have been fitted, and add both to the machine's appearance, and also to performance. Some fifty sets of Flitzer drawings are in circulation world-wide, with several examples being built in the USA, as well as in Australia, NZ, Italy, France, Germany, Canada, S.Ireland, and the UK. The second Flitzer, the ex-Bell-Aeromarine proof-of-plans Z-21A demonstrator flew in '99, and handled beautifully, approaches with the larger tail confirming the predicted reduction of some 5 mph in IAS by comparison with the prototype Z-1, the latter a/c having reviously been tested with a facsimile Z-21 tail. The Z-21A s specifically identified by its 2" wider fuselage (24" cockpit width compared with 22" on the prototype and basic Z-21). Maximum weight authorised is 750 lbs., and structural improvements, higher tailplane reserve factors, and theuse of 4130 steel on the plans versions, have contributed to an increased overall reserve factor at this weight. Empty weight is 479 lbs., and fuel tank capacity is 8.5 gals. (Imperial). 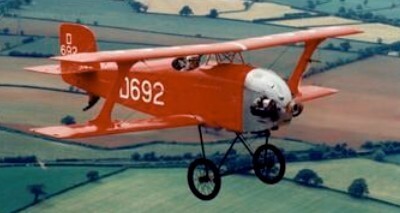 The aeroplane is comfortable to fly, and the cockpit is surprisingly warm and free from draughts, despite the small 'period' aeroscreen. The growl from the paired exhaust pipes is a sound quite unlike the typical VW 'flutter' , more like a 'twenties long-stroke V-type. The machine never fails to attract attention wherever it is seen, and has been flown by several eminent test pilots. Plans are extremely detailed and graphic containing all information needed, down to options on engine installations, exhausts and induction pipe offsets to provide the aerodynamically cleanest and most attractive engine cowling, as well as they're being a build manual. Section profile is USA35B, with excellent L/D and gentle stalling characteristics. Flitzer control surfaces have no mass or aerodynamic balancing, but are well harmonised. 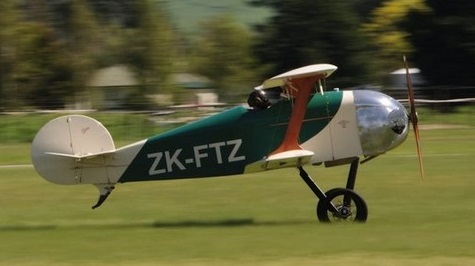 The slightly more compact Stummel Flitzer has a shorter fuselage with raked cabane, a larger tank bay and rounded flying surfaces. This comes in two versions, the Stummel Flitzer S and the Stummel Flitzer R, optimised for aerobatics using engines in the 60-100hp range. 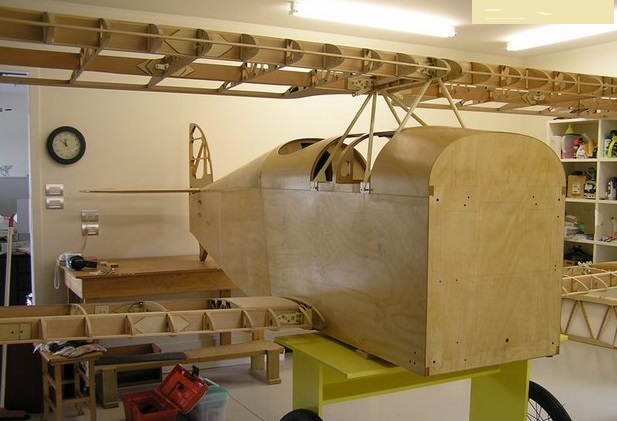 The fuselage is strengthened to +6/-3G and balanced, slaved ailerons have been added to the upper wing. By 2008, more than 200 sets of plans had been sold, in 33 illustrated 3x2ft sheets. All metal fittings drawn to full size. The sub versions are all derivatives, and come as modifications to the basic plans. One modification is the use of the round Stummelflitzer vertical stabiliser on the Z-21 / Z-21A. Flitzers use conventional construction with plank spars and built-up ribs forming the USA 35B wing section, squared off with laminated wood wingtip bows. All ribs are identical. Cruise: 86 mph / 75 kt @ 3000 ft @ 75% pwr.